David Ho and Steven Lee were standing in the middle of the dining room of the newly relocated, soon-to-open Sam Wo, staring down to the basement kitchen through a giant, gaping hole. The rest of the polished dining room was complete, densely hung with vintage photographs of the century-old San Francisco noodle joint, stark against a red wall of modern murals. The hole in the floor would soon house a custom-made dumbwaiter, shuttling plates to and from the various levels — a nostalgic reference to the iconic dumbwaiter at the original Sam Wo, which had been in business for a century before closing in 2012. 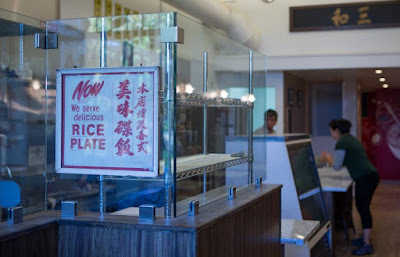 “It cost us $30,000,” said Lee of the dumbwaiter, the final piece of the puzzle. “If we could have found someone who made, it would be one quarter the amount, but nobody knows how to make it.” Despite the hassle and price tag, building a new dumbwaiter was a……..